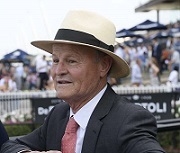 In an ideal world trainer David Payne would prefer to run promising youngster Toulouse over a bit further than the 1400m he’ll face at Rosehill on Saturday. Trainer David Payne (Pic: Bradley Photos). But such is Payne’s opinion of the horse he says it won’t diminish his chances of making it two from two this preparation in the Half Yearly Membership Handicap (1400m). Toulouse posted an impressive win over the same course on June 16 at his first run as a gelding, prompting Payne to peg him as his Derby horse for next season. “If he steps up we can give him a bit of a break and concentrate on better races,’’ Payne said. “I think I’ve got a good horse. From a baby I thought he was a good horse. Punters Intel data reveals the strength of Toulouse’s first-up win. He ran just 0.17 seconds slower than the three-year-old Benchmark 81 and 0.37 seconds faster than the Benchmark 95 over the same trip. In beating stablemate Silent Explorer, who backed up last weekend to run a close third behind Toulouse’s main rival on Saturday in Dio D’Oro, he ran the quickest last 400m of the race (23.59) and an 11.96 last 200m. “I know how good Silent Explorer is and I thought he was a little unlucky the other day. If he goes straight he almost wins,’’ Payne said. Jason Collett is back from suspension and retains the ride on Toulouse who opened $3.10 with TAB on Wednesday behind Dio D’Oro ($2.90). While Payne has Derby aspirations for Toulouse, his star stayer Ace High is building up for a clash with Winx when he returns in August. The rising four-year-old, who won the Victoria Derby and was nosed out in the ATC Derby, will campaign largely in Sydney in the spring in the lead up to the Caulfield Cup. “His mission is the Cups so we have to start him off somewhere and I suppose we’ll have to take on Winx in her race,’’ he said. The race in question is Australia’s newest Group 1 race, the $500,000 Winx Stakes (1400m) run at Royal Randwick on August 18 where the champ is expected to chase her 26th consecutive win. Payne said he’s happy with Ace High’s condition and he’ll likely have his first trial in the second half of July. “We’ll start stepping him up in the next month and he’s looking good,’’ he said.